Even the youngest has that fashion consciousness! This design is sure to bring a smile & start a conversation! 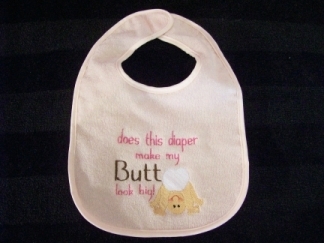 You choose pink, blue, yellow, or green bib or can be added to a white onesie in pink or blue text.